Lin came off the end of the bench to man the point for a desperate Knicks team, averaging 14.6 points and 6.1 assists per game and authoring a number of thrilling highlights during a stretch that all but saved New York's season. His singular, remarkable story — undrafted out of the Ivy League, bounced by his hometown Golden State Warriors, claimed and waived by the Houston Rockets, down to the D-League, buried on the bench, and then a sensation — captured the attention of the general public. His brash, infectious style, pell-mell play at the point, and knack for taking and making big shots inflamed basketball fans' hearts. 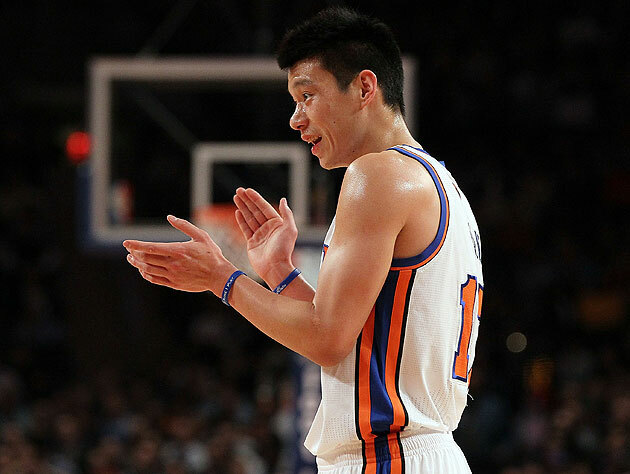 As the National Post's Bruce Arthur put it, for a minute there, Lin offered "true magic" to anyone who cared to look. In a letter introducing this year's list, Time Managing Editor Rick Stengel wrote that the magazine tried "to choose those people whose influence is both lasting and, with a few notable exceptions, laudable." Stengel also wrote that the Time team looked to create its list with an eye toward "how individuals can start a chain reaction of virtue, shaping events in ways that can become both viral and enduring." According to U.S. Secretary of Education Arne Duncan — the author of the list's entry on Lin, a former pro basketball player himself and, like Lin, a Harvard alum — the Knicks point guard fits the bill because his story "debunks and defangs so many of the prejudices and stereotypes that unfairly hold children back." [Lin has] dispelled the idea that Asian-American guards somehow couldn't hack it in the NBA — and that being a world-class athlete on the court is somehow at odds with being an excellent student off the court. [...] I don't care whether you are an Asian-American kid, white, black or Hispanic, Jeremy's story tells you that if you show grit, discipline and integrity, you too can get an opportunity to overcome the odds. Lin — who was the subject of a February profile that ran on the cover of Time's Asian edition — is the first NBA player to be named to the list since Phoenix Suns point guard Steve Nash was tapped for the 2006 top 100. Lin is one of six athletes on this year's list, joining tennis star Novak Djokovic, FC Barcelona striker Lionel Messi, double-amputee sprinter Oscar Pistorius, LPGA golfer Yani Tseng and New York Jets quarterback Tim Tebow, whose entry into the list was written by Lin. It feels kind of weird that Duncan's praise for Lin ("Jeremy cares only about one thing — winning") seems at least a little at odds with Lin's praise for Tebow ("As athletes, we pour our hearts into winning games. Tim is a reminder that life is about much more than that"), but that's par for the course with the Jeremy Lin experience; he seems to mean something different to just about everyone who looks at him, irrespective of how those meanings sit with the man himself, or even jive with him at all. Lin hasn't suited up for the Knicks since March 24 after having surgery to repair torn cartilage in his left knee; the earliest he'd return this season would be the second round of the playoffs, if the Knicks make it that far, if at all. I know at least a few Knicks fans who would submit that, with five games left in the regular season and New York trailing the Boston Celtics by 3.5 games in the Atlantic Division, this means that Lin isn't even one of the 100 most influential people in New York, but I guess life is all a matter of perspective.